Nat Idle, a San Francisco writer with a medical degree, narrowly survives an explosion in an internet cafe after a stranger hands him a note warning him to leave immediately. The handwriting is that of his dead girlfriend, a Silicon Valley venture capitalist whom he has been mourning obsessively. 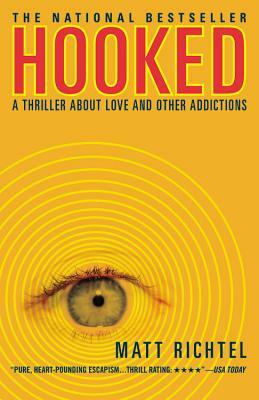 So begins 'Hooked'.